Gulet cruises in Turkey are a fabulous experience in a beautiful region of the world. Turkey’s coastline is the longest in the Mediterranean. Taking an authentic gulet cruise is the perfect way to explore it, meandering at a slow pace and stopping off en route. This is a great way to explore the many hidden treasures and sleepy backwaters, enjoying perfect serenity at sea and making friends along the way. Our gulet cruise holidays in Turkey have carefully selected itineraries which visit the most unspoilt parts of the region, allowing you to experience the local culture and explore ancient ruins. Our Gulet cruises provide plenty of choice, you can remain in Turkish waters or cross the Aegean to the beautiful Greek islands. Some gulet cruises sail from the Dalaman region and others from Bodrum; you will either fly in to Dalaman Airport or Bodrum Airport before joining your fellow passengers and crew for your gulet cruise to discover some of the hidden gems of the Aegean and Mediterranean. Turkey gulet cruises are incredible for the views, experiences and atmosphere onboard and often include a range of activities and amenities to enjoy such as snorkelling equipment, fishing gear and canoes as well as WIFI, TV and games for your pleasure. 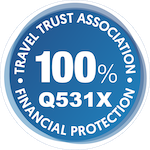 Guests who have enjoyed one of our gulet holidays in Turkey often talk about it as one of the very best holidays of their lives, you can read reviews of Diamond Sky customers and see what they think. Food on board is a highlight and you will enjoy traditional Turkish cuisine with seasonal vegetables and fruits, as well as on-board barbecues with fresh fish and meat. All of our gulets have a large sundeck area for relaxation and have dining areas for informal meals and drinks on deck. Some of the gulets we use are of a luxury category and built to a high standard. Semercioglu IV is a good example for luxury catagory. Each gulet cabin has en-suite facilities and all have air conditioning. Bear in mind, however, that air conditioning is restricted to working for limited hours at certain times of the day in order to save energy and avoid too much noise. One of the highlights of a gulet cruise is the fact that the captains stop regularly in picturesque bays - normally inaccessible by land - for swimming and snorkelling. Gulet cruises are the most informal of cruise options, offering a friendly atmosphere and providing the ultimate personal service. Our gulet holidays are so popular that many people return year after year. Although for lots of our guests, making new friends is all part of the fun, we find that others are drawn to the concept of private hire. What this means is that you decide to book the entire gulet, and all of the cabins on our gulets range from 4-10 cabins and available for private hire in Turkey, Greek Islands and Croatia so simply by combining a few families or getting together with a group of friends, you may well find that it is not only more fun but also better value for money if you hire the entire gulet for the week. The only other people on board will be the captain and crew, so you will have more freedom and flexibility. Greek Islands gulet cruises are a wonderful way to see and experience some of the most beautiful islands in the Med. We have a fabulous choice of gulet cruises in the greek islands in both the north and south Dodecanese. A magical cruise departing and returning to Bodrum, and visiting the charming islands of the North Dodecanese of the Greek Islands. A wonderful cruise combining visits to some of the best known of the beautiful Dodecanese islands with some highlights of Turkey’s glittering coastline. 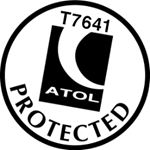 Remember, we hold ATOL licence our number is T7641 and TTA members so you have 100% financial protection when booking any holiday with us. Gulet cruise & stay holidays combine a week-long gulet cruise with a 7 night stay in one of our beach resorts making for a memorable & relaxing holiday. We can also combine a 3 nights gulet cruise with a 4 night stay in one of our beach resorts making total 1 week holiday. One of the other alternative to experience Turkey is to combine a short break in Istanbul with a relaxing gulet cruise. Sightseeing can be tiring so what better way to unwind than to spend the following 3 or 7 nights soaking up the sun on board a relaxing, authentic gulet cruise. Please note: Semercioglu 4 and Seyhan Jan are available for private hire in Turkey only, they are not available for sailing the Greek islands. All other gulets are available for Greek island cruises & Turkey cruises. However, for Greek Island cruises, departure and return has to be from Bodrum in Turkey.